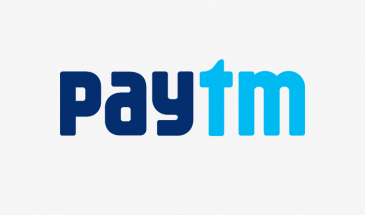 Paytm is one of the most popular payment methods in India. 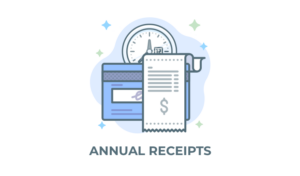 It supports multiple forms of payment methods and is optimized for mobile. The following will describe how to integrate Paytm with Give using the official add-on. 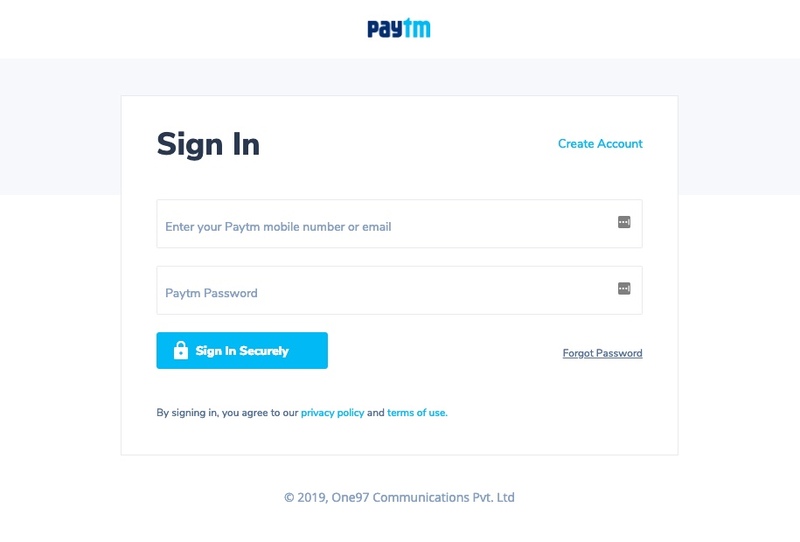 In order to accept payments with Paytm using Give you will need to have an active Paytm account, the Paytm Give Add-on, and the Give Core plugin installed and activated. 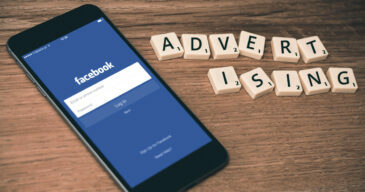 It is also highly recommended that you have an active SSL certificate for your website. Click here for instructions on installing and activating Give Add-ons. Also be sure to add your license so you can receive important updates and support. 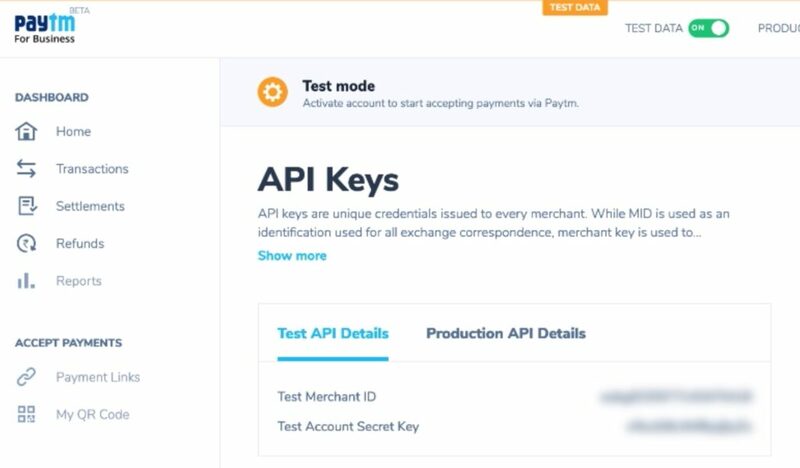 Log in to Paytm at https://dashboard.paytm.com to obtain your API keys. Next, let’d fill in the test, or “Sandbox”, credentials. This is important so you can test the integration before going live. 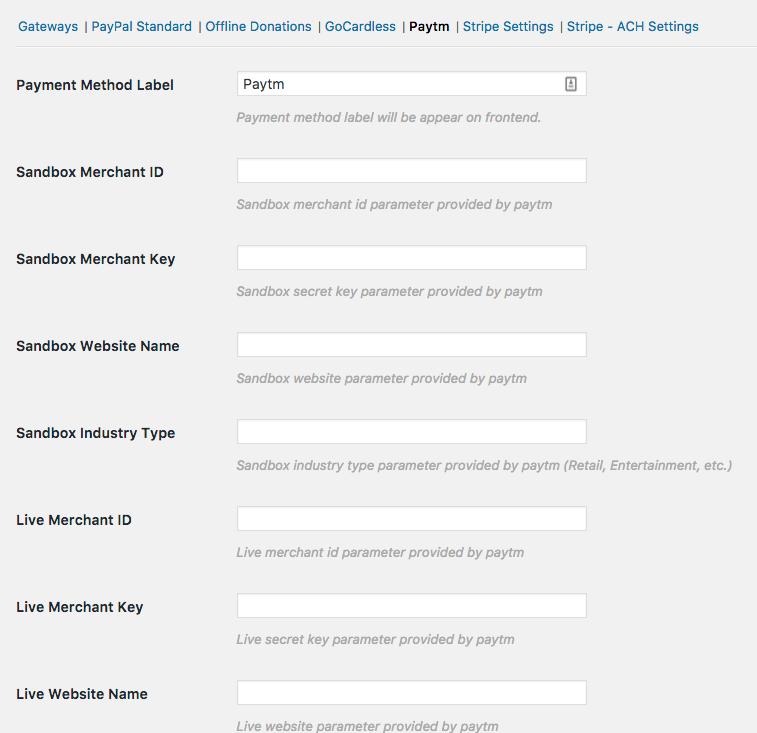 Enter the Test Merchant ID from the Paytm screen into the Sandbox Merchant ID field on the Give Patym settings screen. Enter the Test Account Secret Key from the Paytm screen into the Sandbox Merchant Key field on the Give Paytm settings screen. The Sandbox Industry Type field should be Retail (this is a Paytm required entry for staging tests). 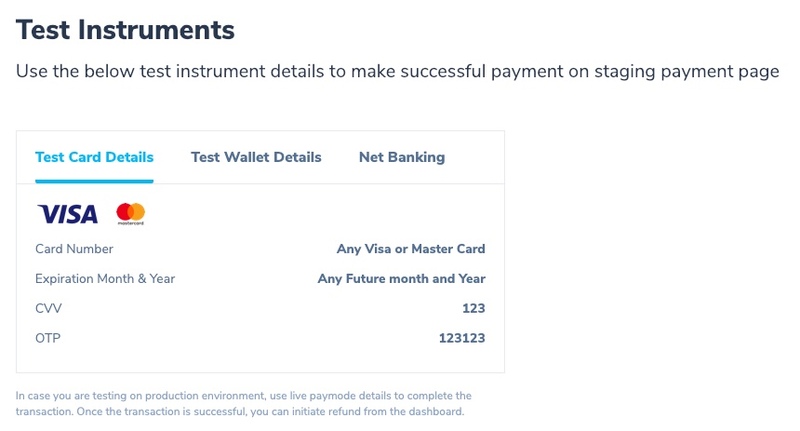 Test transactions are not viewable in the Paytm account dashboard at the time of writing this documentation. Successful payments will be displayed in the Give though so you can confirm payments are processing properly in the Paytm staging environment. For conducting test transactions using Debit/Credit card, you can use your own card details. No money will be deducted from your card and you will be able to test the payment flow end to end. Enter the Production Merchant ID from the Paytm screen into the Live Merchant ID field on the Give Patym settings screen. Enter the Production Account Secret Key from the Paytm screen into the Live Merchant Key field on the Give Paytm settings screen. The Live Website Name field is available to be entered once your account is activated. Copy and paste the details into the Give Paytm settings screen. The Live Industry Type field is available to be entered once your account is activated. Copy and paste the details into the Give Paytm settings screen.